CHICAGO — One of the most powerful City Council members in Chicago was charged Thursday in federal court with trying to shake down a fast-food restaurant seeking city remodeling permits. 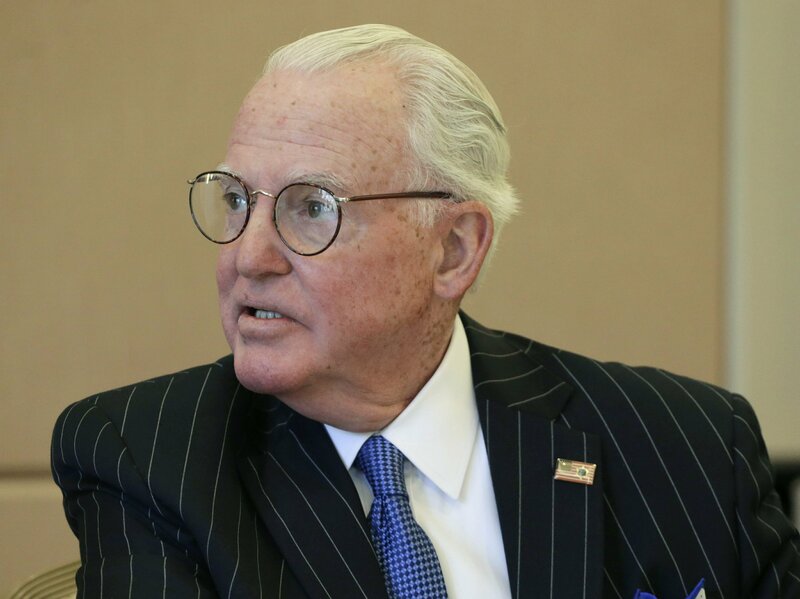 Alderman Ed Burke, 75, is charged with one count of attempted extortion for conveying to company executives in 2017 that they’d get the permits if they signed on as clients at Burke’s private property-tax law firm in Chicago, the 37-page complaint says. A conviction carries a maximum 20-year prison sentence. Burke is one of the last of the old Chicago machine politicians. He’s been on the council for 50 years and has chaired its finance committee for the last three decades. Burke was scheduled to make an initial appearance later Thursday in U.S. District Court in Chicago. A message seeking comment left at his law office was not returned. Another time, Burke also solicited a campaign donation for a different politician from one of the executives, which the executive later told investigators he had no choice to give, the complaint says. Burke joins a long list of Chicago lawmakers charged criminally, including former Gov. Rod Blagojevich, who is serving a 14-year prison term on multiple federal corruption convictions. Klafter & Burke, specializing in property-tax appeals and its former clients included Trump’s luxury tower in downtown Chicago. The Chicago-Sun Times reported in 2016 that the law firm saved building enterprise $14 million by appealing property tax bills over seven years. Burke is associated by Chicagoans with insider benefits long accorded alderman. A city inspectors report in 2016 found snow removal crews plowed the street where he lived far more often than other streets after a 2015 snow storm. They worked his street 46 times in five days, the report said.